FLEX-Hyperborealis – Apollo’s Journey is an artistic collaboration project focusing on Flex Dance, the musical compositions of Kenneth Sivertsen (1961 – 2006), and the art/scholarly work of Siv Grøstad combining Greek and Norse mythology. The cast in FLEX-Hyperborealis consists of dancers from Flex Program´s FLEX Company. FLEX Hyperborealis is an interactive dance performance. The project includes stage-performances and workshops where the main focus is to inspire youth to dance, explore other cultures and creative forms of expression. The performances in FLEX-Hyperborealis are based on the myth of Apollo. Apollo is the Greek God of Music, Poetry and Healing (Apollon Smiteus). The ancient myth narrates Apollo traveling to the happy people beyond the Northern Wind. It was a people who knew no sickness and death, and who, according to legends lived incredibly long. They poured from the source of Wisdom, giving inspiration to all who drank from it. Old sources says that the journey to the land beyond the northern wind was very difficult, and there are only few who manage to get there. Apollo traveled to the land Beyond the North Wind in search of his roots. There Apollo received the snake-entwined pole- a symbol later to be Associated with the art of medicine. It is with the Hyperboreans that Apollo retrieves the deepest understanding of the mystery of life. Apollo’s journey to the land beyond the north wind is psychological, mythological, and historical. The Hyperborean scrolls narrate that life is beginningless and endless. They also narrate that Hyperborea is connected with an alien civilization and galaxies million of years old. Hyperborea is a judgement-free civilization, but you can only get there if you manage to go through the dark abyss, the struggle, or the dark night of the soul. In the land of Hyperborea religion and science were intertwined, and made up the original cosmic forces. The Performance is divided into 9 parts: From Delos to Billing. The Hero goes through stages and different worlds. In the performance FLEX Hyperborealis Apollo becomes: He who confront darkness, the hero and the pilgrim. Darkness is the ignorant nature of man. Apollo progress through spiritual states, he crosses the sea of passion in order to reach the sanctuary of peace. At the well of Mimir he acknowledges his true self. Today you can see the imprint: Gnothi Seauton, Know thyself engraved in the Apollo Oracle in Delphi. The original idea of the Hyperborealis-production was to create a dance performance with modern and classical dance that would be performed at the UICC- Cancer Conference in 2001. The work Apollo-Hyperborealis lasted for 3 years but was never truly manifested. Kenneth Sivertsen and Siv Grøstad started at one point to throw ideas back and forth around the myths about Hyperborea. Sivertsen was fascinated by the stories of Apollo, and his journey travelling to the land be-yond the north wind. He expressed that the story of Apollo was at perfect match to his classical compositions. Ragnhild Bruland, founder and executive director of the FLEX Program, got the idea to introduce the Flex-dancers she worked with to Sivertsen’s Music. She wanted to bring more awareness to the Flex-dance as an advanced art-form, and also to continue the work of her mother Siv Grøstad and Composer Kenneth Sivertsen. FLEX-Hyperborealis is a dance performance with mythological grounding and sources. The dancestyle FLEX is rooted in storytelling and its diverse and advanced expression compliments the very essence of mythology. The dancer narrates non-verbally different archetypes presented in the myth. All performances will be slightly different based on the artist’s individual interpretation. The main gist in Flex ­Art philosophy is that the dancer is colored by energies and emotions in the immediate moment, which makes for a very powerful performance. Flex is a highly technical form of dance with its own vocabulary. In FLEX-Hyperborealis the spontaneous and deeply individual expression combined with advanced dance/movement techniques of the artists tell the story of Apollo’s Journey. The very experience of FLEX-Hyperborealis can trigger thoughts and feelings surrounding: traditions, rituals, storytelling, individuality, connection, and parallel universes. For example, in the piece “Delling” you encounter 2 individuals. Them a meeting happens. Through the meeting a third expression manifests. Follow us at @Flexhyperborealis to see clips from Delos to Billing. In the project period Workshops including a Showcase for Children and Youth recruited from different neighborhoods in Oslo will be manifested. These workshops will be for young people who are particularly interested in developing their dancing skills, but there will also be open workshops for beginners, and people who are interested in the Flex­Style. The Dance workshops will have an emphasis on Flex as an advanced art form, and will cover improvisation work, Flex Dance techniques and elements. 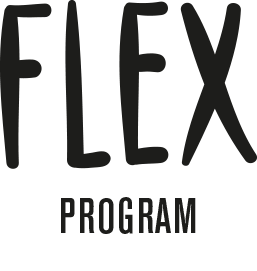 Through the Flex Dance Workshops taught by experienced artists and educators, we will connect youth who would not necessarily be connected if it had not been for the dance. The workshops are linked to: “From Brooklyn to Bjølsen” (see FlexIN FlexOUT) with emphasis on International Collaboration, Artistic Expression, and Cultural exchange. Through workshops and discussions with Flex dancers we break down false illusions about people and communities. We will talk about important issues and ideas coming from the young people themselves. The young people will encounter street dancers on a direct and intimate level. The dancers act as good role models with much wisdom. Video is also an important part of the whole project. Through media the youth and junior get a positive view of themselves. ● The basic idea is creative collaboration and dancing activities for anyone who is interested to join, regardless of religion, culture, background, gender, race or age. ● Challenging their comfort zone through activities and freestyle techniques. ● Triggering creative problem solving through dance and teamwork. ● Promoting physical activity, health, personal development and positive identity formation. ● Reduction and prevention of substance abuse, violence and other crime. ● Give youth honest and authentic mentoring, including personal feedback/evaluation, and activities according to their wants and needs. ● Connect young people who would not have been connected if it had not been for the dance. ● Develop the youth’s values, leadership skills, and self ­esteem. This is manifested through dance workshop sessions, and Showcase / Dance Battle. ● Increased understanding and empathy for self and other through dance and movement. ● Meetings between young people and artists from Brooklyn to Bjølsen. 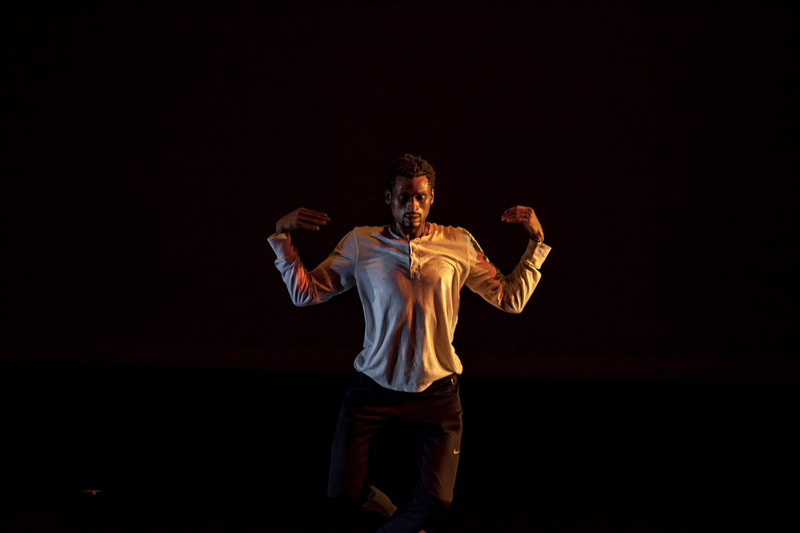 “As part of the Fifth Annual BEAT Festival, flex dancers from The FLEX Program break through the epic journey of Greek God Apollo with FLEX-Hyperborealis. Flexing is a dance style born in the streets of Brooklyn. The form amplifies showmanship and skill. 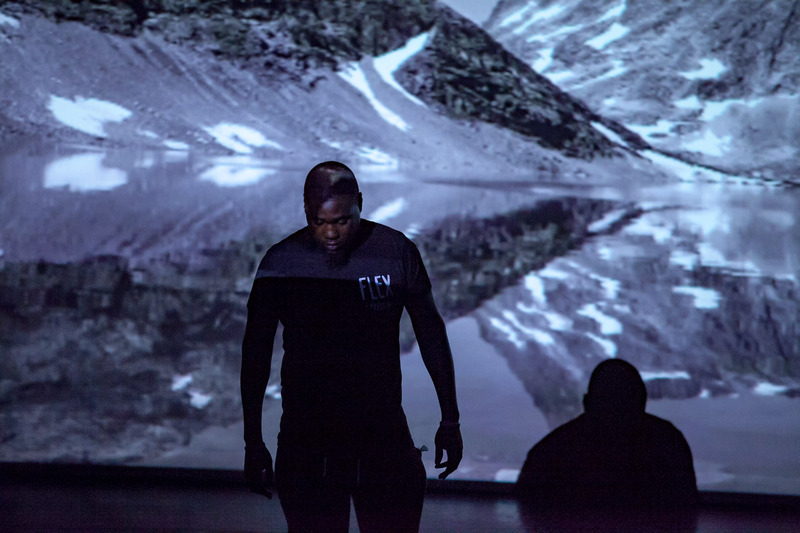 It is often paired with dancehall and reggae music, but FLEX-Hyperborealis is accompanied by Symphony Orchestra Composer Kenneth Sivertsen, which adds an element of intoxicating intrigue — like Apollo, a curious object traveling through a foreign landscape. FLEX Hyperborealis had it’s debut, in Oslo Norway in August 2017 at Sentralen. Thirteen dancers from Brooklyn came to Norway to be apart of the production. Over a houndred children and youth was involved in the project through assistant-positions, Workshops/Showcase and as audience.